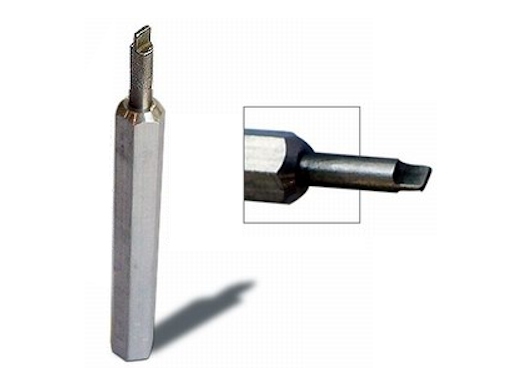 The compass screwdriver is a great little tool that is totally non-magnetic, but also overcomes the shortcomings of solid brass or aluminum tools. This tool has a nice hex aluminum handle and a stainless steel driver insert. No need to worry about damaging the tip on a frozen compensator screw, and you can also remove the cover plate screws with the same tool.